Shanghai had its fair share of reveals, debuts and concept cars - in fact, it was almost busier than Detroit, and far less gloomy. Wheels' US correspondent shows us why China is about to overtake the States in car sales. If predictions hold true, China's light vehicle sales for 2009 will top 10 million. If those same projections hold true, U.S. sales of similar vehicles will come in under 10 million. So you can understand while the 13th Shanghai Auto Show had more life to it than Detroit's annual car display this past January. In fact, as you wander through the chain of halls that house the Chinese show, you begin to wonder if there's any end to it. If you ever attend, take sensible shoes. There were familiar faces, the newest and biggest star being Porsche's four-door exotic sedan, the Panamera... looking very nice, much better in reality than the first photos indicated. And, yes, there is room inside to accommodate four adults with ease. BMW had an M version of its X5 and Audi updated the Q7. Troubles in Detroit aside, General Motors made a strong showing, lead by its Buick division, which sells more cars in China than in the U.S. 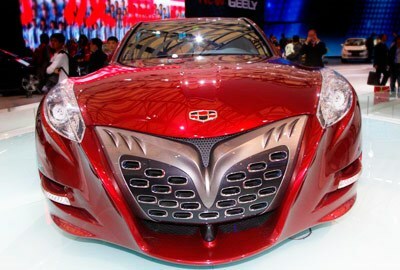 In fact, GM sold over 350,000 vehicles in China in the first quarter of 2009. Then we get into the Chinese cars and names that are not immediately familiar, labels like Chery, Roewe, Geely, BYD and the winner, Great Wall. It would be easy to pass off many of these machines as cute or derivative or rather plain... but not as easy as it once was. As examples, Roewe showed a pair of very nicely done sedans, the N1 concept and another sporting a famous badge now owned by the firm: MG6. There were hybrid or electric cars spread throughout the area, from cute little things like the Dongfeng I-Car, Great Wall Gwkulla and Chery M1 electric to honest-looking medium-size machines such as the BYD e6 to advanced concepts like the GAC HAEV and Brilliance EV concept. Again, not a list of names with which you are familiar. At least not for now. To some, it might seem simple to criticize or dismiss Chinese automakers, but long-term that would be a mistake. They may lack product to sell in numbers overseas right now, but as they proved in Shanghai (and last year in Beijing) they have enthusiasm, momentum plus a growing home market.